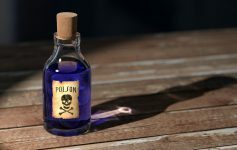 However, this safety scare that has turned one of America’s most beloved breakfast fruits into the “forbidden fruit” is barely a concern for the essential oil. In the article, I review the evidence on how the constituent (furanocoumarins) responsible for the dangerous interaction is barely perceptible in the oil. 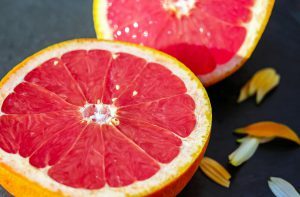 Finally, I provide an overview of all the possible uses of citrus oils, highlighting grapefruit. In this blog, I will share some more studies that prove the “groovy-ness” of grapefruit oil and redeem the fruit’s good name. Finally, a human study, which I wrote about here, concluded that, “Black pepper, fennel, and grapefruit oil caused a 1.5- to 2.5-fold increase in blood pressure indicating an elevation in sympathetic nervous system activity.” This supported some of the findings found in our furry friends above. One study found that minor constituents isolated from grapefruit oil could inhibit acetylcholinesterase. This enzyme breaks down acetylcholine, a neurotransmitter. Remember that the essential oil itself is mostly limonene with many other compounds presents. This results in various health benefits and can prevent the side effects of using just a few chemicals extracted from the whole essential oil. Still, the study does show potential for one minor effect of the using this essential oil. One-to-two drops a serving…that’s the amount of oil it takes for all the benefits. Make sure you read my homepage article to get a better understanding of the power of this essential oil and some safety instructions. For those looking for a healthier 2017, adding one drop of grapefruit oil to your water a day is an easy start!! Okunowo , Oyedji O, Afolabi L, Matanami E. Essential Oil of Grape Fruit (Citrus paradisi) Peels and Its Antimicrobial Activities. American Journal of Plant Sciences, Vol. 4 No. 7B, 2013, pp. 1-9. doi: 10.4236/ajps.2013.47A2001. Warnke PH, Becker ST, Podschun R, Sivananthan S, Springer IN, Russo PA, Wiltfang J, Fickenscher H, Sherry E. The battle against multi-resistant strains: Renaissance of antimicrobial essential oils as a promising force to fight hospital-acquired infections. J Craniomaxillofac Surg. 2009 Oct;37(7):392-7. Shen J, Niijima A, Tanida M, Horii Y, Maeda K, Nagai K. Olfactory stimulation with scent of grapefruit oil affects autonomic nerves, lipolysis and appetite in rats. Neurosci Lett. 2005 Jun 3;380(3):289-94. Epub 2005 Feb 5. Tanida M, Niijima A, Shen J, Nakamura T, Nagai K. Olfactory stimulation with scent of essential oil of grapefruit affects autonomic neurotransmission and blood pressure. Brain Res. 2005 Oct 5;1058(1-2):44-55. Niijima A, Nagai K. Effect of olfactory stimulation with flavor of grapefruit oil and lemon oil on the activity of sympathetic branch in the white adipose tissue of the epididymis. Exp Biol Med (Maywood). 2003 Nov;228(10):1190-2. Miyazawa M, Tougo H, Ishihara M. Inhibition of acetylcholinesterase activity by essential oil from Citrus paradisi. Nat Prod Lett. 2001;15(3):205-10.